Here's the video highlights from last night. Please accept my apologies for not getting this posted as quick as I usually do. I had a family dinner immediately after the game last night! 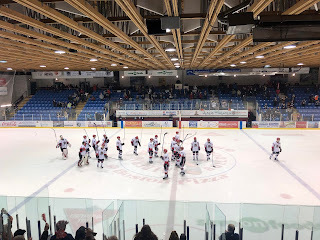 There was a flurry of scoring chances both ways through the first three minutes of the game, with Nolan Hildebrand tested first on a deflected point shot, before John Hawthorne turned aside a Brett Willits breakaway a minute later. Another in alone Chief chance saw Hawthorne stare down Cameron MacDonald on a breakaway with a right toe save, before Hildebrand came up with a sparking glove save on a Keaton Mastrodonato one-timer from a couple feet off the crease on a set up from behind the goal line. The pace would stay high, but the chances slowed somewhat through the remainder of the period, with the Bulldogs threatening but being unable to score on a power play opportunity. Shots in the period were 14-9 Bulldogs. The Bulldogs threatened on the power play to open the period, but couldn't generate a Grade A chance to take the lead. Just past the five minute mark the Bulldogs took their first lead of the game, as a Chief defender misplayed the puck at their line, allowing Mitchel Deelstra to steal it and race in alone into the left circle where he beat Hildebrand with a high shot that he got a piece of, but not enough of it, to make it 2-1, unassisted at 5:39 of the third. The Chiefs would push back, but Hawthorne was solid with a couple of saves to protect the lead. The Bulldogs found some insurance just a minute later when a turnover to the slot was found by Jackson Doucet. His initial shot was blocked, but it ended up on the tape of Ryan Miotto on the right wing, where he put a quick release on net that was deflected off the post and in by Keaton Mastrodonato to make it 3-1 at 8:17 of the third. The score would stay that way until the late stages when the Chiefs pulled their goalie while on the power play to create a 6 on 4 scenario. The Bulldogs held on, with back-to-back shot blocks by Jackson Doucet and Mackenzie Wight resulting in a loose puck that was one-timed home down ice dead centre by Grayson Valente for the shorthanded empty netter for some final insurance to seal the deal for the 4-1 final at 19:24 of the third. 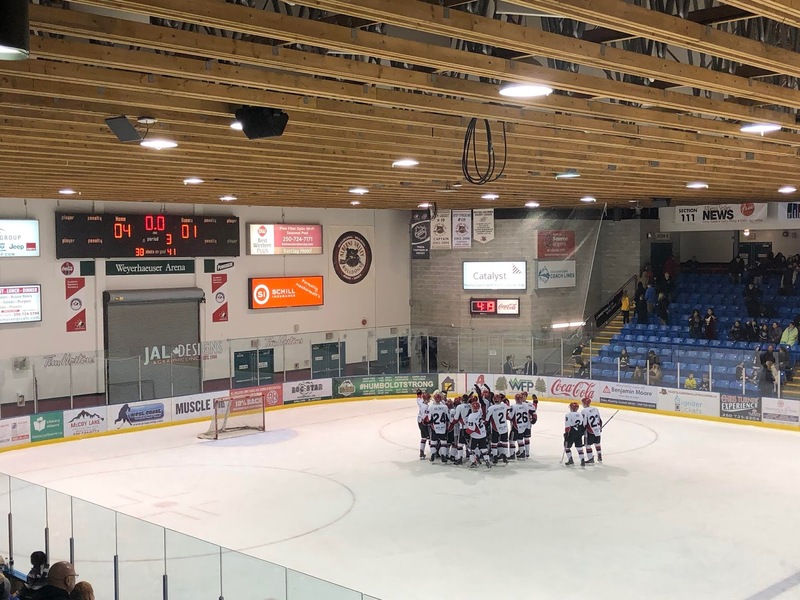 Third period shots were 13-12 Bulldogs, for a game total of 41-38 Chilliwack. John Hawthorne earned 2nd star honours with the win, while Nolan Hildebrand took the loss. The Bulldogs went 1 for 4 on the power play while also scoring once while shorthanded. The Chiefs went 1 for 3. The Bulldogs are next in action Tuesday night when they visit the Kings in Powell River.